"Betulia liberata" (The liberated Bethulia) seems to be the least known among Wolfgang Amadeus Mozart’s larger stage works, be it secular or sacred, composed during his youth. The libretto was printed twice during 1771 in Padua. The script is based on a sacred drama, an aziona sacra, by the aged Habsburg court poet, Pietro Metastasio (1698-1782), first set to music by Georg Reutter the Younger (1708-1772) and performed during the Holy Week in 1734. Metastasio’s "Betulia liberata" is based on the story told in the Old Testament book of Judith: the Assyrians, commanded by Holofernes, tried to besiege the city of Bethulia. Even though the city of Bethulia was fictitious and the Assyrians were at the most Babylonians – the story nevertheless deals, once again, with the people of Israel and their unwavering faith in God who alone can redeem them from a hostile invasion. Achior, ruler of the Ammonites and ally to the Assyrians, dares to remind Oloferne (Holofernes) that the Bethulians were invincible as long as their faith was steadfast. This enrages Oloferne and he orders Achior to be tied to a tree near Bethulia. This is where he is found by Carmi, a Bethulian councillor, and taken hostage. In Bethulia, joined by Ozìa, ruler of Bethulia and Amital, a noble lady, he witnesses Giuditta’s (Judith’s) courage and unwavering faith. Following a divine plan she ventures to the army camp of the enemy. 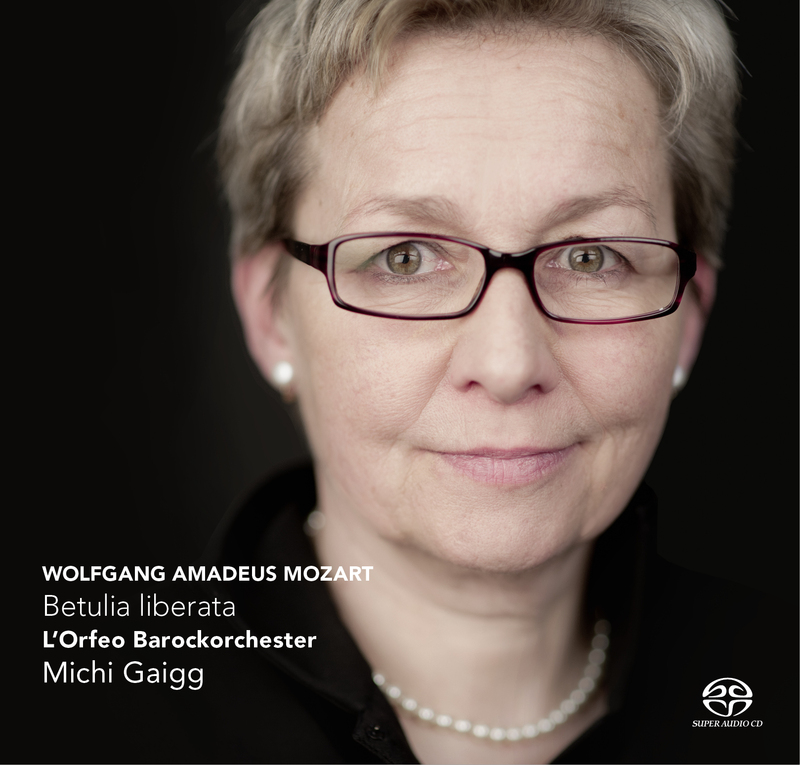 "Mitchi Gaigg's exploration of the azione sacra Betulia liberata is the latest addition to what is turning out to be something of a purple patch for recording the early Mozart. " "Michi Gaigg knows how to strike sparks with the fulminant playing L'Orfeo Barockorchester in that ambitious but static Oratorio." "Her focus lies entirely on an expressive, rhetorical approach. This yeilds, in addition to large contrasts, lively dynamics"
"The package with hardcover an book is luxury"
"she (MIchi Gaigg) knows how to staurate the music of the 18th century with vital freshness"
"This complete recording of Mozart's oratorio is a experinence: drama combined with noblesse and perfection."